Owning a car takes a lot of responsibility and Tires Plus card help you make sure these responsibilities are all covered. We all know there are a lot of things to consider when purchasing one. 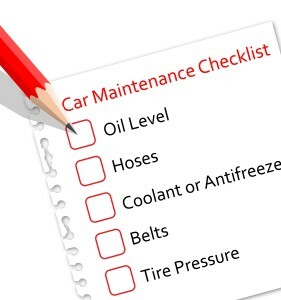 For your car to last and keep its mileage at par, you have to develop a habit of taking care of its maintenance needs. This will ensure your car isn’t only spot clean but also operates smoothly; so when the time comes you need it sold, you wouldn’t have a hard time when it’s in prime condition. Many drivers make a terrible excuse of not having enough funds to have their car fixed. They don’t realize that a little bit of savings for senseless things could actually provide their car the maintenance and care it deserves – for durability and convenience purposes. Although there is now more women holding driving licenses than men in the United States as discussed in a recent article, the fact remains that all the dirty works associated with car repair and tire replacement can be more challenging for women than they are for men . This is where Tires Plus card comes in. Not only do they take care of your vehicle; they value your time by making sure the repair work is completed within the agreed upon time frame otherwise they will give you 10% discount on your next purchase. Read more about this Tires Plus card guarantee here. Tires Plus Credit card understand your financial situation. That is why they also offer brilliant ways to get your expenditures covered with their Tires Plus card. Aside from that, here are some of the reasons why every woman should have a tires plus card in her purse. Tires Plus Card is Honored Nationwide! This means that when you get stuck out of nowhere, you’ll still be able to claim your privileges as a Tires Plus card owner. It wouldn’t be too much of a big deal for you if you suddenly need your car repaired – as long as you have contacted the nearest outlet. From all over the country, there are 1,600 strategically located stores! That means you can just forward your concerns and have your car fixed in no time. Additionally, Tires Plus CFNA accredited cards can be used for purchase made in any of their stores. Tires Plus Payment is Hassle-free! Unlike other bank cards, they don’t impose an annual fee. On top of that, they send you email notifications for your billing statement. All information about your account, bills and payment procedures can be sent straight to your e-mail. They practice paperless billing so you wouldn’t have to worry about your billing statement getting lost along the way. If you don’t like having debts, credit first tires plus is very compatible for you. You get to save a lot if you pay in full within six months for a minimum of $299 purchase – you’re eligible to pay without any interest.They also offer periodic exclusive savings for your tires and auto care needs. If you search Google for some Tires Plus card reviews, most of their customers are satisfied, if not amazed, with their service. They also offer high quality tire replacement. From car repainting, accessories to custom upgrades and engine overhauls, they’ll have it covered. Having a car also entails safety and security issues. That is why you need to assess not only the convenience of your vehicle, but also have it checked for accurate calibrations, good wiring, operational engine, brakes and other auto parts. Surely it would always feel great that there’s something handy you can turn to when you need it the most. Acquiring a Tires plus credit account is the tool for you to get high quality service your car deserves. If you’re interested to acquire the same benefits mentioned above, it’s high time for you to sign up for a Tires Plus credit card! You can visit this page for more details about the process of application and all the information regarding your benefits as a Tires Plus credit card owner.